Learn some easy meal planning tips when dealing with restricted diets and food allergies. Sometimes we have a food intolerance or even food allergies that create issues when meal planning. Because this is more and more common, here are some tips to help you manage meal planning for restricted diets. This can be for food allergies, food intolerance, food aversion, or even dietary restrictions or health-related diets. These tips will make it easier for you to manage a meal plan that works for your family. Meal planning for restricted diets doesn’t have to be impossible. In fact, it is often much easier to accommodate a dietary difference when you plan ahead than by having last-minute meals prepared each night. These tips will help you to keep everyone in your family safe, happy, and satisfied with the options available for dinner. This list is a great resource for helping you keep a rotation of menu items on your list without eating the same thing over and over again. Making a master recipe list that is acceptable for diets but also pleasing to everyone will help you to remember those meals that you may have forgotten. As you try new recipes that work for everyone, add them to the list to rotate out the next month. A master recipe list is also a great tool to help you know what items to keep in your pantry. This can easily give you a way to save more money when you notice sales on items that you use regularly. By purchasing when on sale and storing for future meal planning, you can cut back on grocery expenses in the long term. Sign up for my Meal Planning Tips and you will receive a special offer on meal planning printables and printables to make your own Meal Planning Binder. There are so many different dietary restrictions that could be at play, that it is hard for me to cover all of the tips for working them into and around your meal planning. There are basic tips, but a lot of things come down to you personally learning about proper substitutions for the things you can no longer have. With things like food intolerance, food allergies, gluten sensitivities, lactose intolerance, and even sensory or textural issues, it can be difficult to create easy menu plans that accommodate all diets. Unsweetened almond milk, coconut milk, or hemp milk for non-dairy diets. Rice pasta, quinoa pasta, and quinoa for those who are gluten-free or low-carb. Stevia, honey, and molasses in place of sugar. Meal planning isn’t just about creating freezer meals or writing down a menu on your calendar. It also can include preparing foods in advance to use in simple meals throughout the week. The concept of batch cooking as part of your meal planning routine can be totally life changing in your kitchen. Instead of cooking exact recipes, you instead prepare ingredients so they only need to be added to your menu items. This is a great way to throw together meals that can include items everyone can enjoy, but also have the option of adding in other things that are against the diet for some. The most popular ways to batch cook include preparing meats, starches like rice or potatoes, and select vegetables in advance then freezing or canning for future use. Instead of adding your menu items to a freezer container to be cooked in a slow cooker or in the oven, you would cook them in advance and separate into portions that can be added to fresh sides and starches to create a meal in a hurry. Grill, roast, boil, broil, or bake things like chicken, pork, steak, or even ground meats with simple salt and pepper seasonings. Allow to cool then divide into portions suitable for a meal. Label and freeze. On the day you want to make something like tacos, quesadillas, or even a simple casserole, you grab a portion from the freezer, thaw, and add to your recipe. My friend Alea even wrote two cookbooks that are great tools if you want to try prep ahead and simple batch cooking. I have them both and love them. Families are busier now more than ever, and nobody understands that better than busy mom and food blogger Alea Milham. With Prep-Ahead Meals from Scratch, she brings a unique batch cooking concept that will streamline weeknight family meals like never before. She shows you how to use simple prep-ahead techniques to stock your refrigerator with precooked ingredients that can be combined with fresh produce to easily create wholesome meals. Leave prepackaged foods and take-out behind as you learn the many easy ways to cook ahead from scratch to save time and money during the busy week. Alea breaks down the classics into convenient weeknight dinners using fewer ingredients and smarter techniques. This new recipe collection is bursting with fresh, time-saving ways to fuel your family and yourself. Ready to end the days of skipped breakfasts and takeout lunches? With Alea’s expert advice, you’ll have your fridge stocked with homemade grab-and-go meals, full of ingredients you can feel good about. Simple do-ahead techniques help you savor even the busiest weekday mornings. Instead of adding a new ingredient into a bunch of meals you are prepping in advance as freezer meals or for batch cooking use, make sure you test them out first. New ingredients don’t always work out as expected. That means you could potentially waste a lot of money in the process. Instead, do a small test run to make sure that your family likes the substitute. If your meal planning routine includes freezer meals, it is really important to make sure you have all ingredients well labeled. We usually label freezer meals with the recipe name, directions for cooking, and portion amounts. If a restricted diet is in play, then labeling with all of your ingredients is even more important. Add a list of all ingredients to every package so you are able to easily tell if it is an acceptable meal for everyone to eat. There are many types of labels include chalkboard or dry erase labels that can be used over and over again so you aren’t wasting money on new labels every time you create meals for your freezer. If your restricted diet issues with meal planning are about contamination because of allergies or severe food intolerance, then preparing meals in advance or batch prepping foods is vital to cutting back on your time in the kitchen. Creating a clean and safe prep area is the most important thing you can do. That means you need to prepare meals that are “clean” away from other meals or menu items. Simply create all restricted meals first, then do your other meals separately. If your meal planning will include food for friends or family that are spending time with your family, then it can seem frustrating to you to include different foods for their diets. 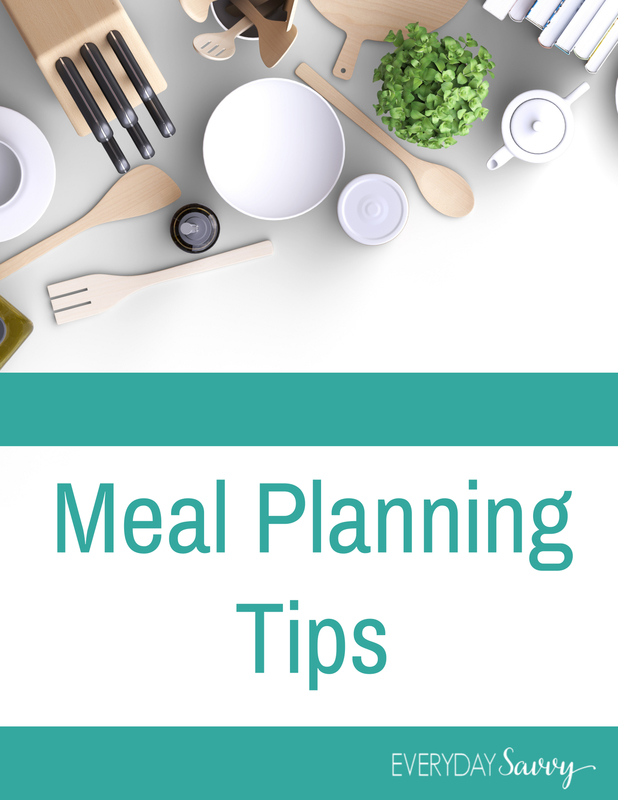 It isn’t always convenient, but planning ahead can make meal planning for any restricted diet easier to manage. Respecting others and their individual dietary needs is just part of being a good human being and friend. Check about allergies, aversions, and sensitivities when planning for guests, and do your best to provide them with yummy foods that are safe for them to eat. If your restricted diet concerns are around flour or sugar, I am a huge fan of this no flour/ no sugar meal plan. Healthy food can be delicious. This meal plan features easy-to-prepare, hearty, healthy recipes for your family to enjoy. These meals are big on veggies and protein from whole foods that you can find in any supermarket. Enjoy a Salad of the Week, and an optional Easy Protein of the Week. No flour or artificial sugars added. Meal planning for any dietary restriction doesn’t have to be frustrating. Simply use a few simple steps to make sure you are protecting those with food allergies and aversions while adapting existing recipes. Our tips will make this easier to manage no matter your budget. Need more meal planning tips? Be sure to sign up below.